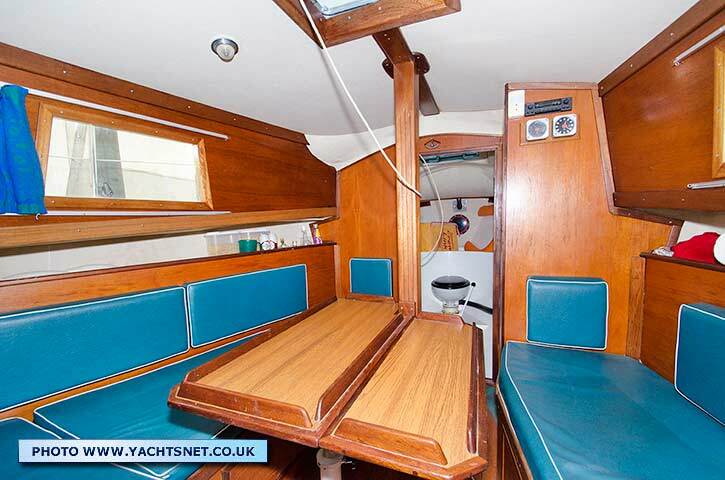 The Atlantic Clipper 36 hull was designed by Maurice Griffiths for Philips of Dartmouth in around 1968. 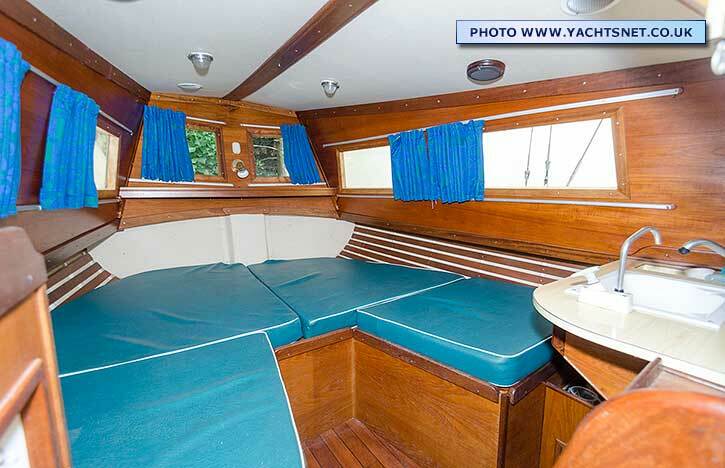 Philips marketed the boat from 1968 to 1973, and aslo sold some bare hulls and decks for home completion. 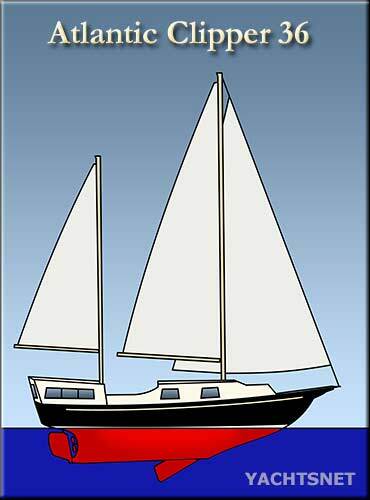 The images here are of an owner-completed version. 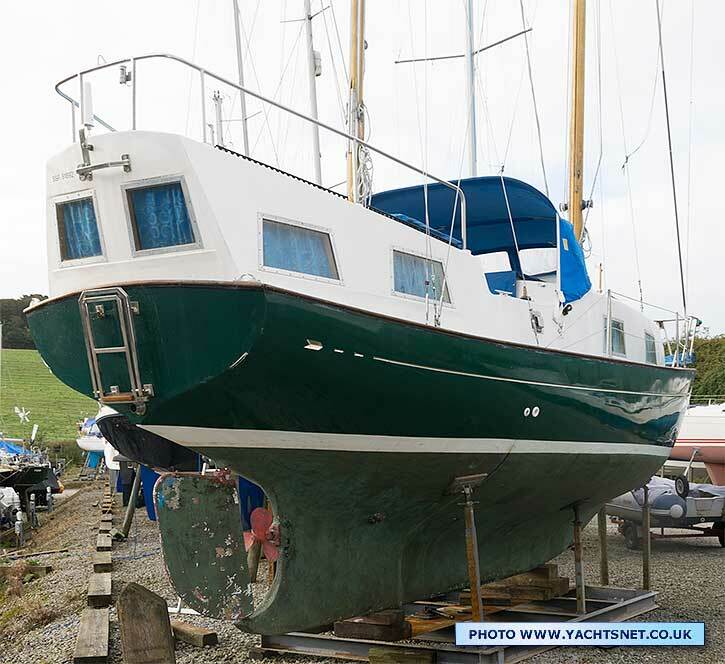 The hull moulds were later taken over by Barbican Yachts of Plymouth, and used for the Barbican 33 hull. 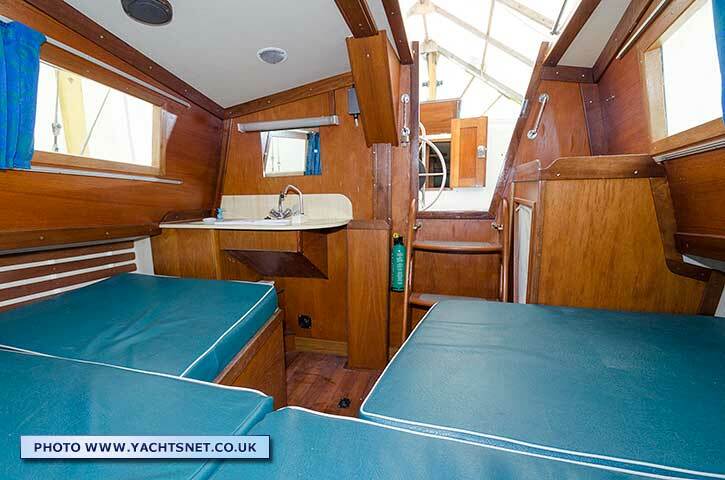 The Atlantic Clipper hull was designed by Maurice Griffiths, and Philip & Sons of Dartmouth added the deck and coachroof arrangement with a "galleon" stern. 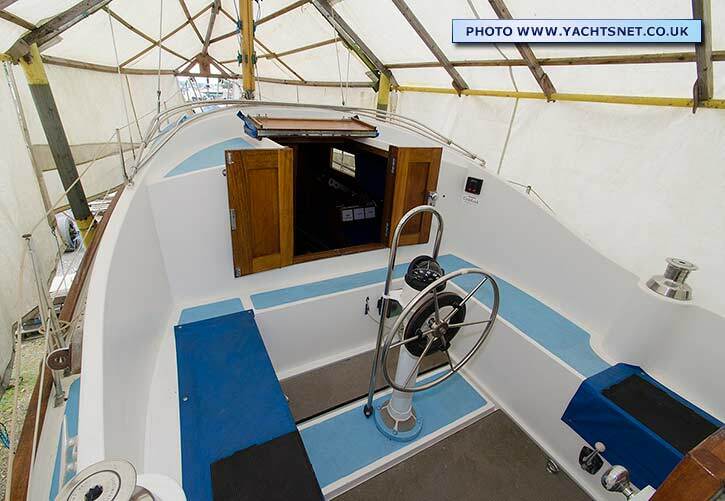 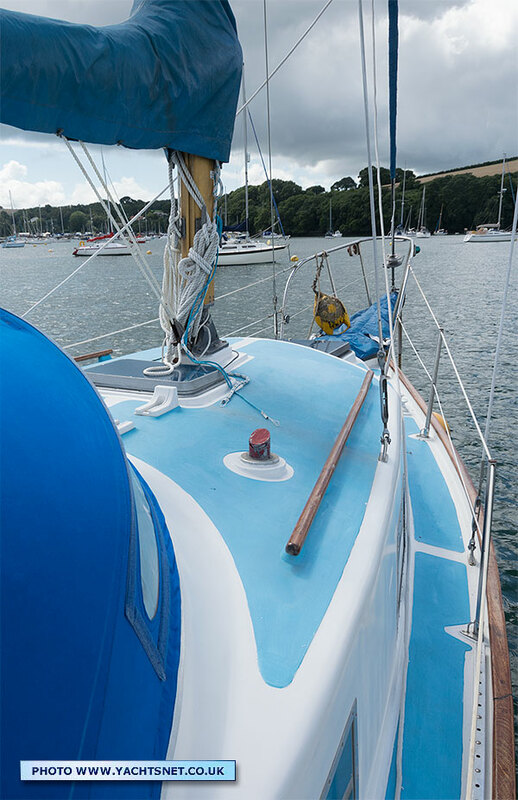 The hull has a long shallow keel with a centreboard and keel-hung rudder. 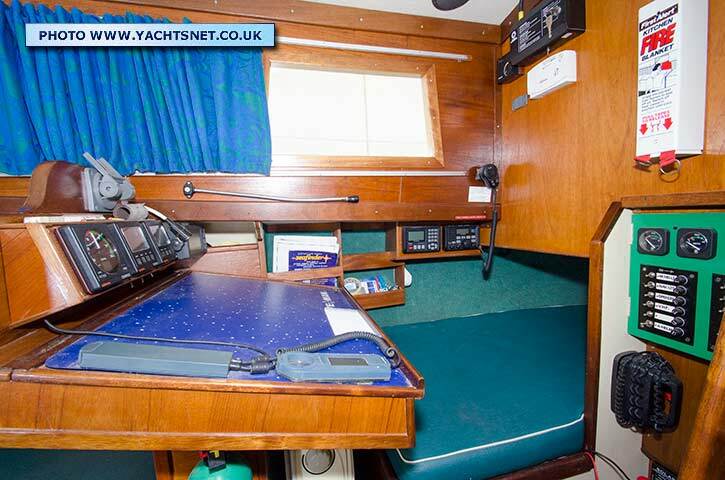 On deck the deep centre cockpit is spacious and very well protected, and the saloon has good headroom and a large galley. 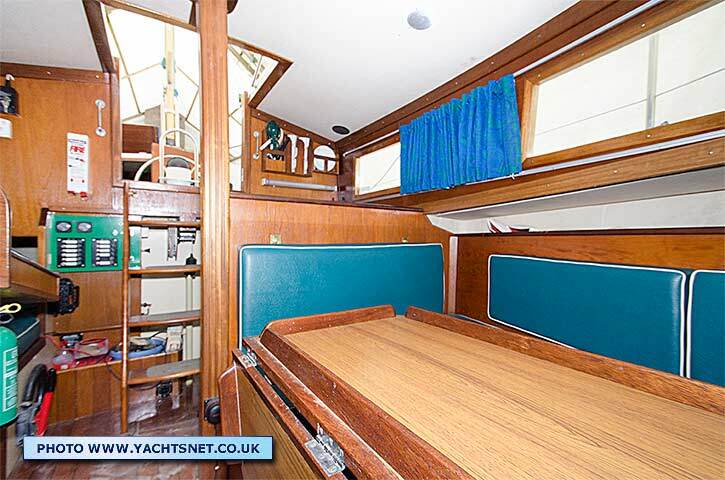 The aft cabin is one of the largest you will find on any long-keel yacht of this size. 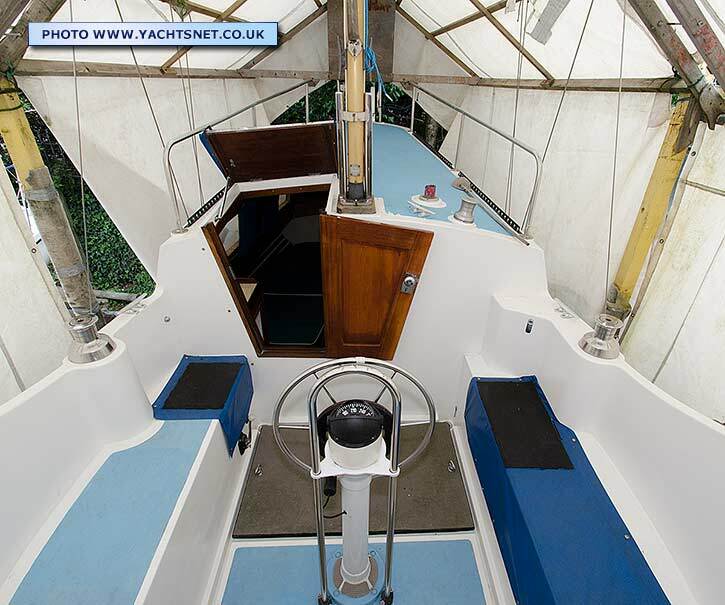 The ketch rig is easy to handle, and in fact, despite the quirky looks, it all works rather well. 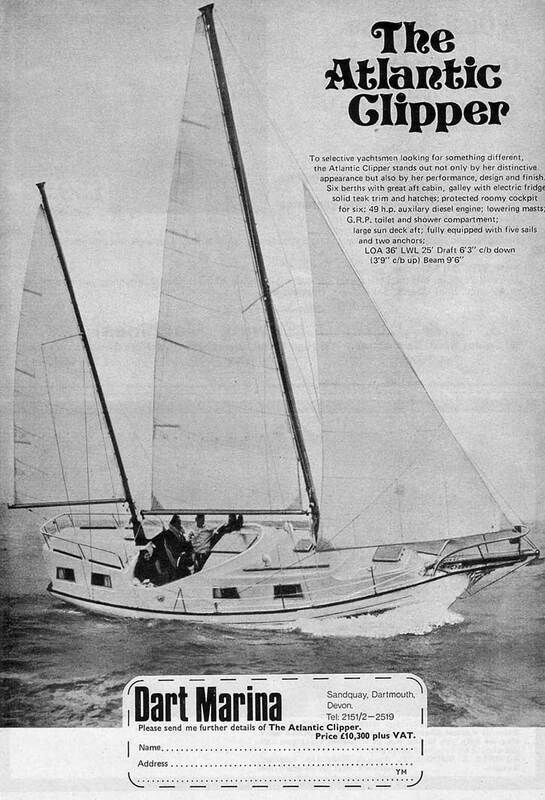 When Philips & Sons ceased building yachts in the 1970s the hull moulds were sold to Barbican Yachts of Plymouth, who used them for the Barbican 33 design, with a much more conventional aft cockpit deck/cabin structure. 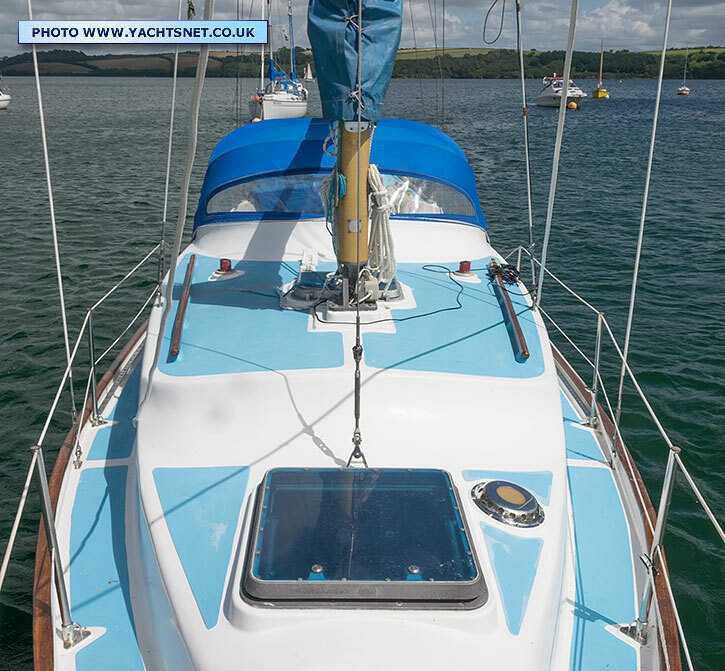 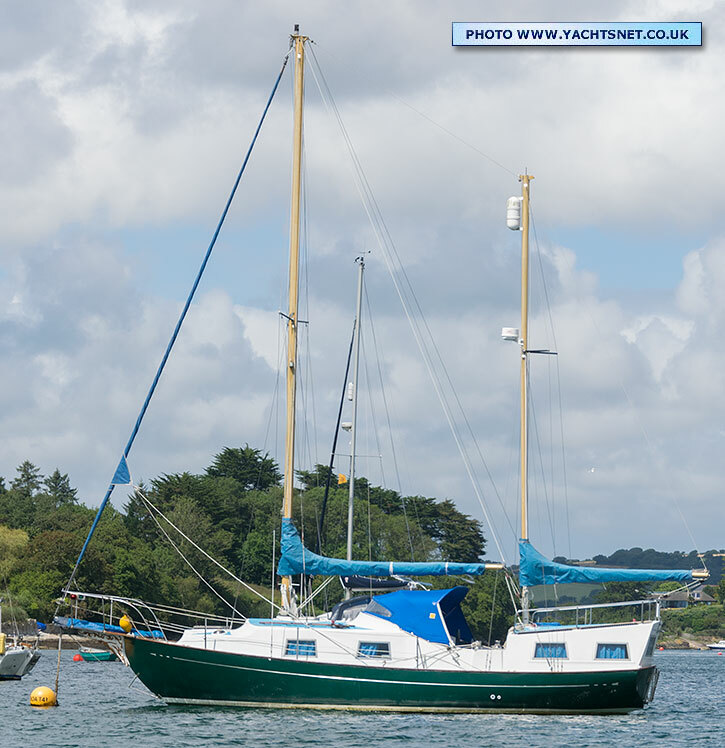 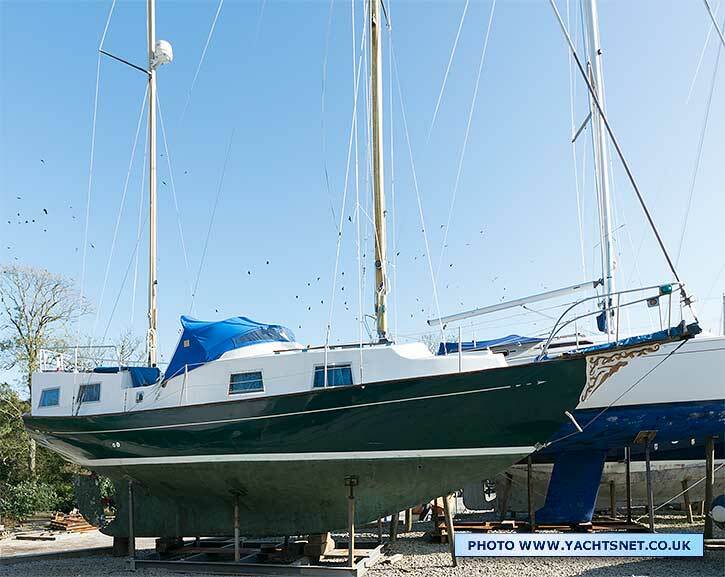 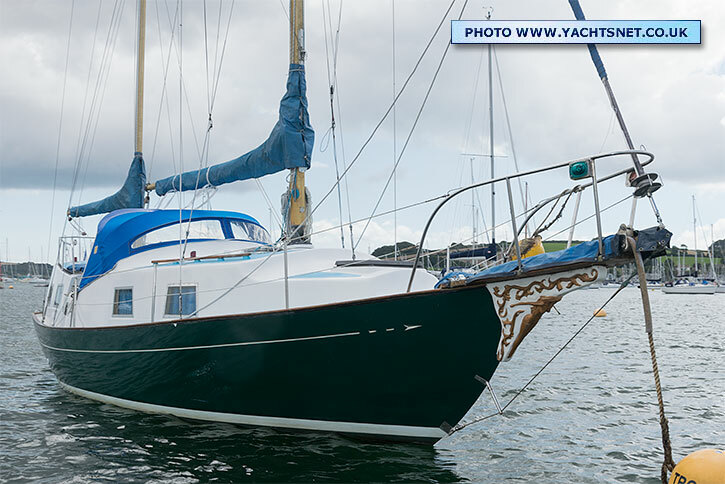 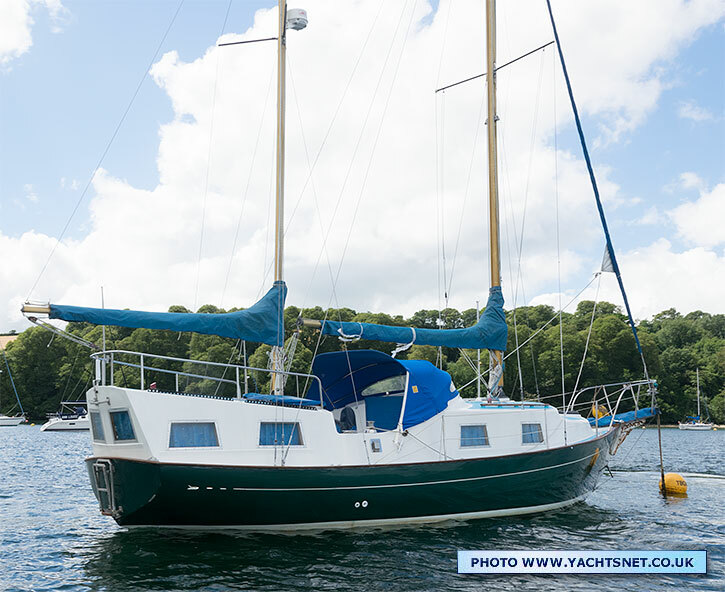 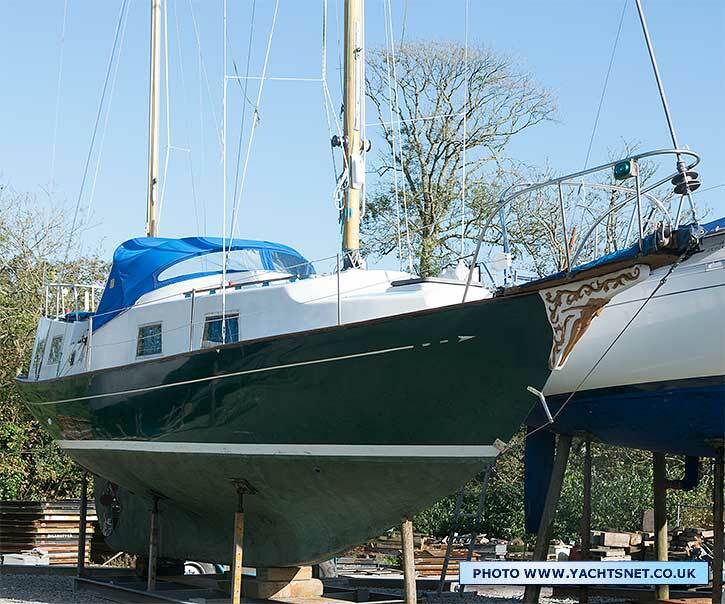 The Eventides Owners Association has a web page devoted to Barbican 33s and Atlantic Clippers. 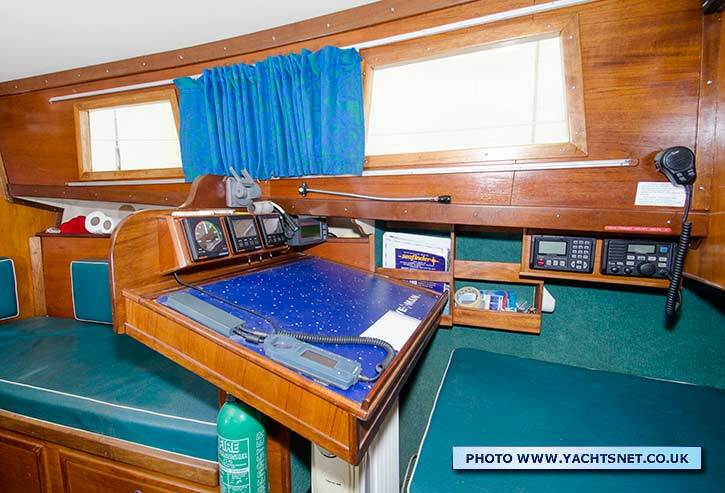 Details and photos of Atlantic Clippers are at the bottom of the long page. 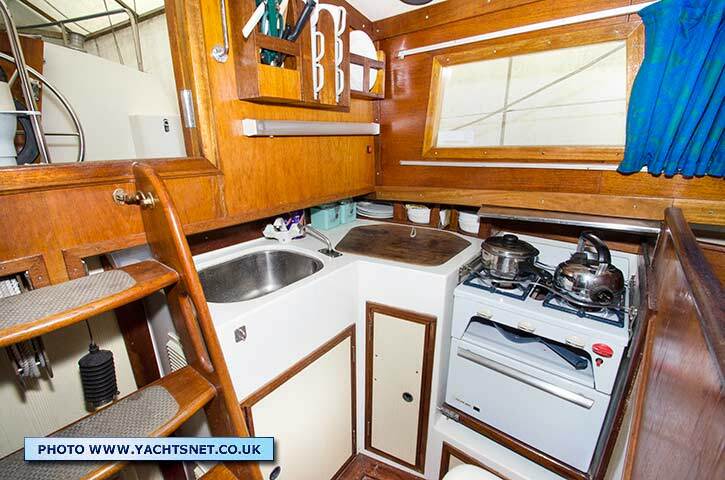 The saloon table is on a riser which when lowered allows the port settee to become a double. 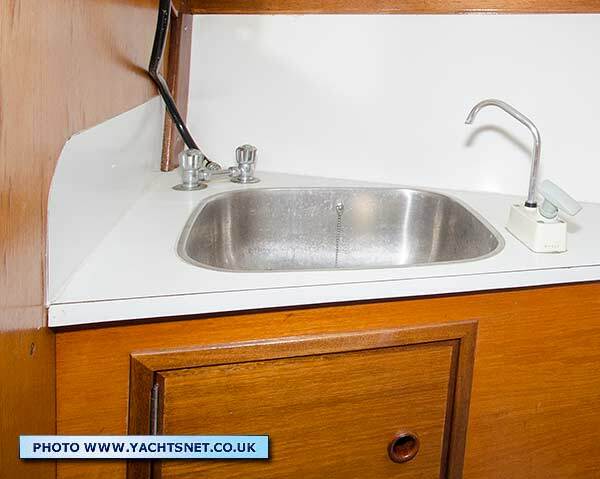 The aft cabin has a sink and good locker and standing space. 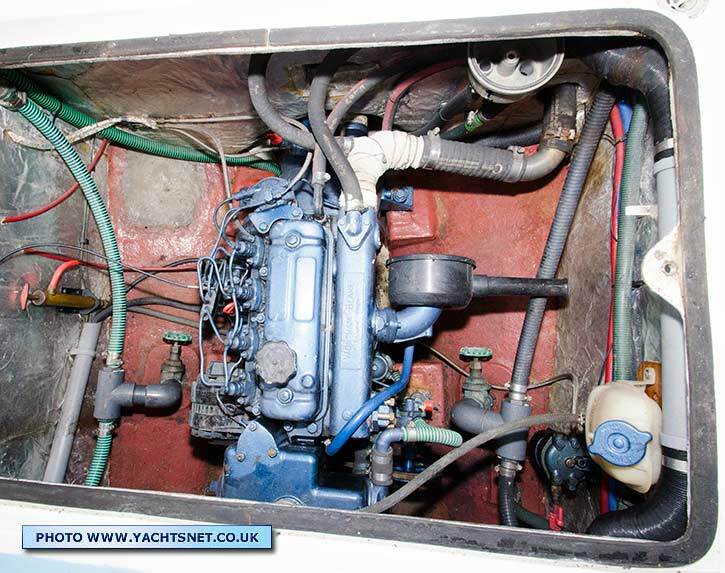 Below: access to the engine and gearbox is by lifting a large panel in the cockpit sole. 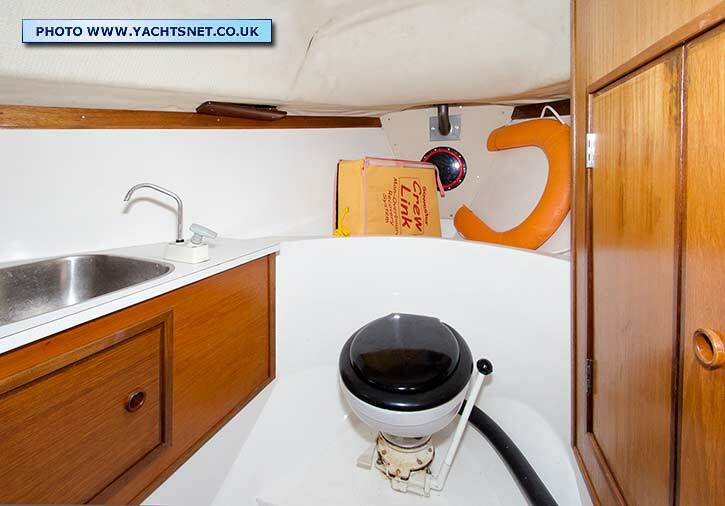 The Philips-completed boats were usually fitted with 49 bhp Perkins diesels. 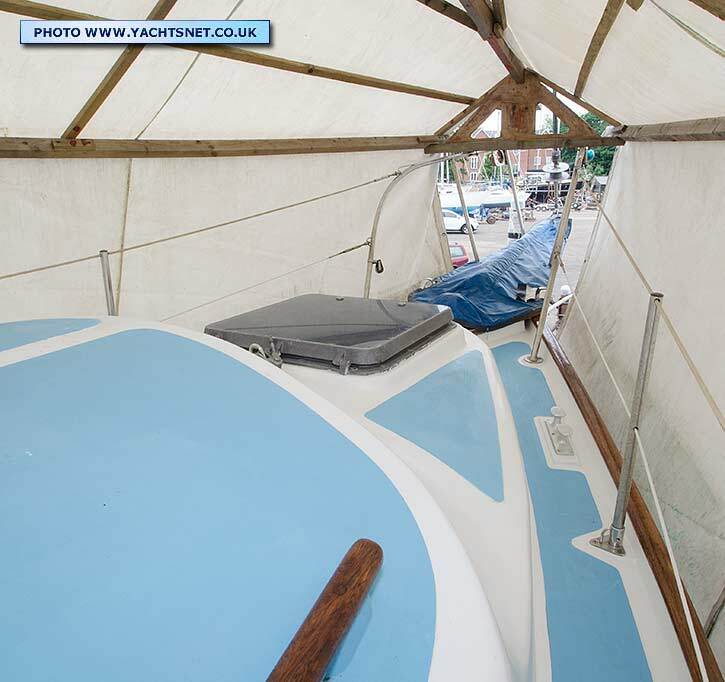 and covers on this yacht are to protect hatch tops and surfaces.